Map of the county of Madison / by David H. Burr; engd. by Rawdon, Clark & Co., Albany, & Rawdon, Wright & Co., N.Y.; An atlas of the state of New York: containing a map of the state and of the several counties / by David H. Burr. Map of the county of Madison / by David H. Burr; engd. by Rawdon, Clark & Co., Albany, & Rawdon, Wright & Co., N.Y.; An atlas of the state of New York, designed for the use of engineers, containing a map of the state and of the several counties. / Projected and drawn ... under the superintendence and direction of Simeon de Witt. Map of the counties of Ontario & Yates / by David H. Burr; engd. by Rawdon, Clark & Co., Albany, & Rawdon, Wright & Co., New York. ; An atlas of the state of New York: containing a map of the state and of the several counties / by David H. Burr. 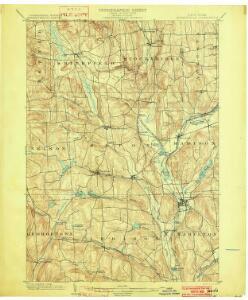 Map of the county of Seneca / by David H. Burr; engd. by Rawdon, Clark & Co., Albany, & Rawdon, Wright & Co., N. York. ; An atlas of the state of New York, designed for the use of engineers, containing a map of the state and of the several counties. / Projected and drawn ... under the superintendence and direction of Simeon de Witt.